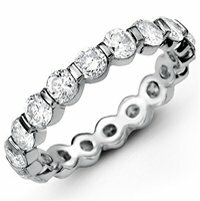 Diamond platinum eternity band. 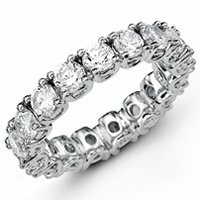 The ring holds 13 round brilliant cut diamonds each measures approximately 4.3 mm in size. 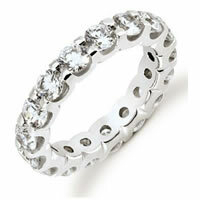 The diamonds total weight is approximately 4.0 ct for size 6.0. Diamonds are graded VS1-2 in clarity and G-H in color. 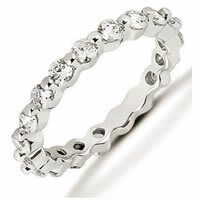 The band is about 5.0 mm in width. 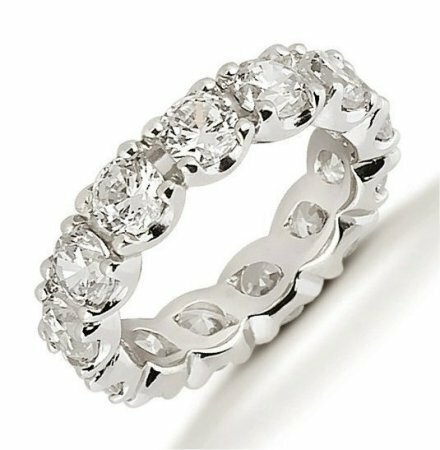 Each diamond is set in prongs and the diamonds total weight changes with ring size. The finish is polished. Different finishes may be selected..